Mementos like this photo hang on the wall of Gilbert Blue's "Indian Room." During his time as chief, Blue was in Washington frequently to negotiate the tribe's 1993 land claim settlement. A framed copy of the "Catawba Indian Land Claims Settlement Act of 1993" hangs on the wall in Gilbert Blue's home. A federally-funded clinic provides free health care to Catawba Nation members. The Catawba tribe built 150 homes and apartements on 300 acres purchased with money from the $50 million settlement signed in 1993. The 1993 settlement enabled the Catawba Nation to opened a pre-school and Head Start program. The Catawba Indians want to build a $340 million casino and resort in Kings Mountain, North Carolina – which is 45 miles northwest of their reservation in Rock Hill, South Carolina. They've applied for federal permission to make the land a sort of annex to their reservation. They may also need approval from North Carolina's governor and General Assembly – but both are cool to the concept. So why not just build a casino on the tribe's existing reservation just off I-77? Former Catawba Chief Gilbert Blue. The "Indian Room" is where Gilbert Blue - one of the longest-serving Catawba chiefs in modern history – invites guests to his home. 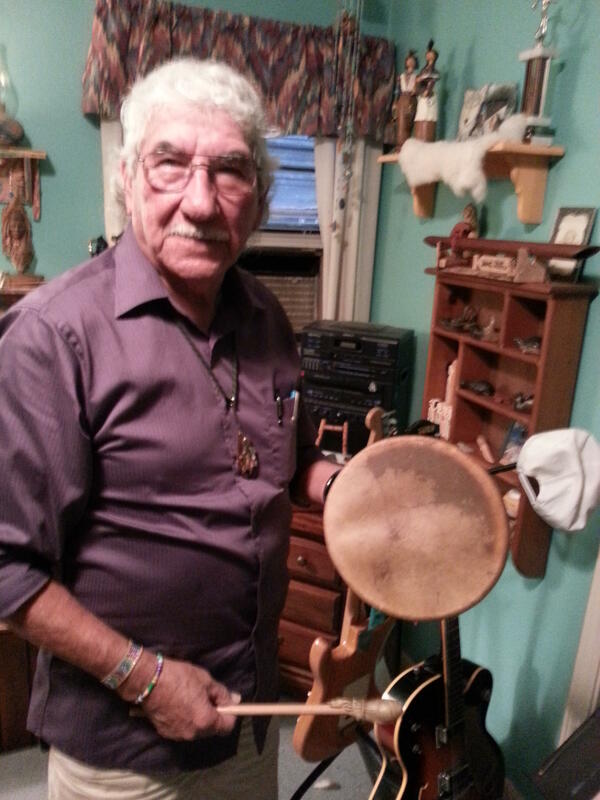 Musical instruments and the tribe's distinctive pottery made of clay from the Catawba River line the walls. "And it's where I keep letters and things from the presidents," says Blue, gesturing to a photo of him with President Bill Clinton. In the place of honor: a framed copy of the "Catawba Indian Land Claims Settlement Act of 1993." The tribe's current quest to build a casino in North Carolina ties back to this document and Blue's tenure as chief, which ended in 2007 after 34 years. "That's why my hair is gray," jokes Blue, noting the length of his time as chief. When he was elected in the early 1970s, the Catawbas had dwindled to less than 2,000. Through a series of broken treaties with white settlers and the state of South Carolina, the tribe's land had dwindled, too - from some 144,000 acres in the 1700s down to a single square mile of dirt roads and rundown shacks. "There were people in '73 that still didn't have indoor plumbing," recalls Blue. "And I thought, 'Well this has certainly gotta change.'" But how? The few Catawbas still living on the reservation were low-wage textile workers. They had no access to federal grants because they weren't a federally recognized tribe. The state wasn't helping much either. So the Catawbas filed a lawsuit demanding compensation for ancestral lands that had been taken from them over the centuries. And at first, people scoffed. But as the lawsuit dragged on, it became hard to get clear title to buy or sell any of the disputed land. Deals fell through. Development stalled and John Spratt got involved. 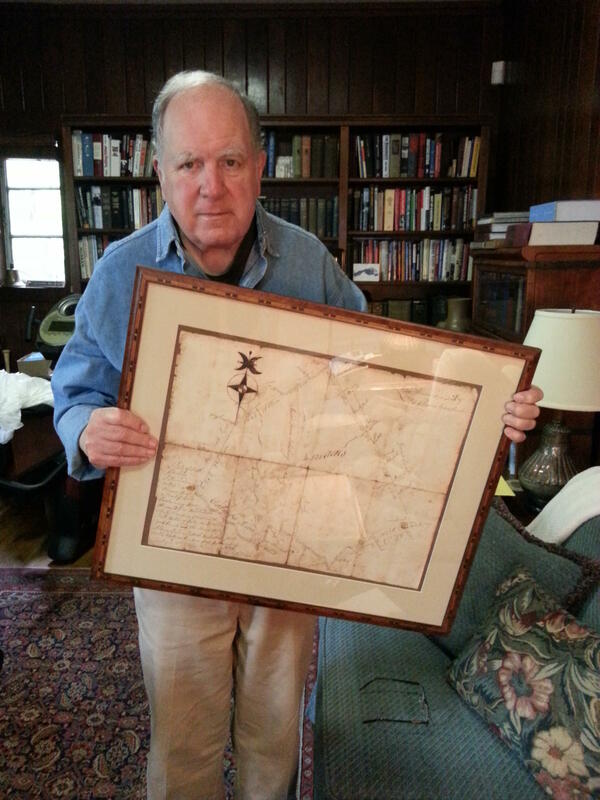 Former South Carolina Congressman John Spratt has a map from 1781 showing land owned by his forefather Thomas Spratt that formerly belonged to the Catawba Indians. For 28 years, Spratt represented the 5th Congressional District of South Carolina which encompassed all of the 144,000 acres claimed by the Catawba Indian tribe. Spratt has a framed document on his wall too - of a different sort: A map from 1781 showing the plot of land owned by his great, great, great, great grandfather Thomas Spratt, who was one of the earliest white settlers to the region. Depending on who's telling the story, Thomas Spratt was either a trusted advisor to the Catawbas or an opportunistic land broker. Either way he ended up with a big piece of Catawba land – much of which remains in the Spratt family. That tangled back story followed Spratt to Congress, where he leaned on every ally he had in Washington to get backing for a $50 million settlement that would put the lawsuit to rest. He called in a lot of favors because "it was a big deal in York County and Lancaster County." "What you're seeing today – particularly on I-85 and Indian Land township down on Highway 521 and all of Rock Hill where the Galleria Mall is - would not have happened" without the settlement, says Spratt. The Catawbas agreed to drop their land claims in exchange for $50 million in cash and federal recognition that would make them eligible for millions in grants each year. But, there was one thing Spratt couldn't get for them, because South Carolina officials simply said, "No way." "We don't want any gaming in South Carolina as far as casinos, etcetera - whether it's Indian or not," says South Carolina State Senator Wes Hayes. The only way Hayes and his colleagues would approve the settlement was if the Catawbas agreed not to fall under the federal law that allows Indian tribes to operate Vegas-style casinos in states where gambling is prohibited. That's the law that let the Eastern Band of Cherokees open a casino near Asheville and use the proceeds to build a hospital, a park, a fire station and write annual checks of around $7,000 to tribal members. The Catawbas were reluctant to sign away the possibility of something like that . . . but, they were torn. "Most of the Catawbas are Mormon - they do not believe in or practice gambling, so that took a little bit of the steam out of their argument," says Spratt. In fact, it was Chief Blue's grandfather Samuel Taylor Blue who befriended a pair of missionaries from the Church of Jesus Christ of Latter-day Saints in the late 1800s. He later became chief and nearly the entire tribe converted. By the time Chief Gilbert Blue was negotiating the land claim settlement, about half of the tribe was still Mormon. And he was caught in the middle: not opposed to gaming rights for the tribe, but also not pushing as hard for them as a non-Mormon might have. Ultimately, the Catawbas were promised the ability to have two high-dollar bingo halls and any other gambling allowed under state law. Chief Blue thought the tribe deserved a whole lot more from the settlement, "but I also realized that if we tried to drag this thing out, we may end up getting nothing." Blue knew that federal recognition for the tribe would bring money for education, housing and health care. "I said, 'These things will mean a whole lot to the people, even though it is not near what we deserve as far as the settlement was concerned,'" says Blue. So, with strong backing from the tribe, he signed the agreement. Soon the reservation's roads were paved. The tribe built a headquarters and created dozens of tribal government jobs for Catawbas. They set up a scholarship fund. Some $7.5 million of the settlement was divvied up by the tribe in payments of several thousand dollars per person. Hundreds of Catawbas, like Darlene Condra and her siblings, returned to the reservation after years away. "I decided to come back home," says Condra. "It's cheaper and I like it better." Condra lives in a secluded subdivision of about 150 affordable homes and apartments the tribe built on 300 acres purchased with settlement money. Now she's just a few blocks from the health clinic where tribal members get free, federally-funded medical care. But the tribe's other economic ventures have not panned out. The tribe's bingo hall in Rock Hill lasted about ten years, but couldn't turn a profit with the state collecting a 10 percent tax on gross income and a new statewide lottery competing for business. A restaurant deal in Myrtle Beach didn't work out either. And so, Catawba leaders have set their sights on the path to prosperity forged by tribes in other states: a casino. But, in South Carolina, they signed away that prospect twenty years ago this month with the 1993 settlement. And that is why the Catawba Nation is looking across the border to North Carolina.